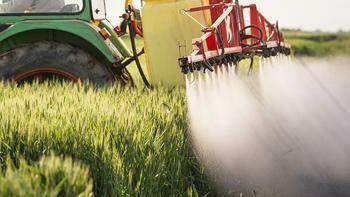 Industrial agriculture and pesticides will not feed the world, UN experts say. 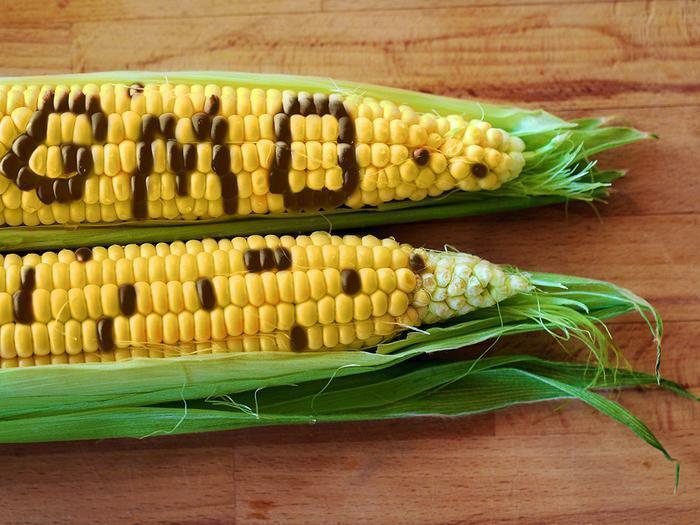 When debating the possible benefits or drawbacks of farming with genetically modified seeds, a popular narrative touted by the agriculture industry, experts, and the mainstream media has been that GMOs could solve world hunger and that anti-GMO activists are standing in the way of seed companies trying to feed the world. 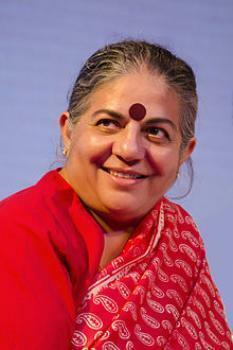 In their profile three years ago of Vandana Shiva, an outspoken anti-GMO activist in India, the New Yorker magazine portrayed their subject in an unflattering light that followed such a narrative. “In contrast to most agricultural ecologists, Shiva remains committed to the idea that organic farming can feed the world,” the magazine wrote. “Owing almost wholly to the efforts of Shiva and other activists, India has not approved a single genetically modified food crop for human consumption." On the public speaker side, author Mark Lynas, a former anti-GMO activist from Britain, was a focus of celebration in the press several years ago when he began giving interviews and speeches praising the agrochemical industry and criticizing his former comrades. “The truth is that there is no more of a debate on the safety of GE crops than on reality of climate change,” he said last year in an editorial for Cornell University. 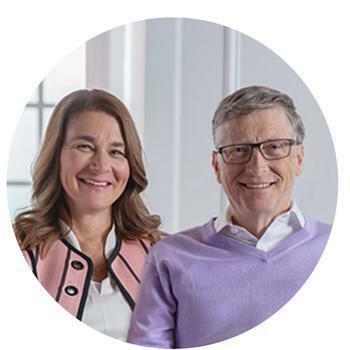 Much higher on the public celebrity scale are Bill and Melinda Gates, who have partnered with agrochemical giant Monsanto in the past through their foundation, and who similarly say that genetically modified seeds can solve world hunger. A Boston Globe editorial, penned by the chief executive officer of a lab in New England, goes further, saying: “How many children must suffer before this anti-GMO propaganda is called out for being what it is — a crime against humanity?” And a Scientific American editorial, authored by a fellow at Harvard Medical school, argues that GMOs are "the best bet for feeding the world." But major cracks are emerging in this popular talking point. The latest comes in the form of a report put out by experts from the United Nations, who say that pesticide use has actually increased, not decreased, in developing countries where genetically modified seeds are used. “... it is commonly argued that intensive industrial agriculture, which is heavily reliant on pesticide inputs, is necessary to increase yields to feed a growing world population,” the report notes. They describe this argument however as little more than a marketing tactic. The United Nations Human Rights Council appoints what it calls a Special Rapporteur, or an unpaid, independent expert, to prepare reports on food from an international human rights perspective. The Rapporteur focusing on pesticides, published this week, uses government figures across the world, industry data, news reports, and research from the Pesticide Action Network to document the often ignored consequences of pesticide-intensive farming. The report blames major players in the agrochemical industry -- Monsanto and Bayer, Dow and DuPont, Syngenta and ChemChina -- for sowing doubt about the risk of pesticides and aggressively promoting pesticides, noting that the companies have a vested interested in selling both their herbicide-resistant seeds and the correct herbicide to accompany them. "...genetically engineered crops may create a cycle of entrapment for farmers, with herbicide-tolerant crops eventually requiring more herbicides to fight pest resistance,” the Rapporteur says. The Rapporteur presents evidence for why pesticide-intensive farming is damaging to food production, the bee population, farmers, pregnant women, indigenous communities, third-world countries and consumers everywhere. But there is limited data that draws a conclusive link between pesticides and specific health problems, a gap that the Rapporteur blames on industry. The Rapporteur also points to regulatory loopholes and is critical in particular of the United States government for approving new crops based on the concept of “substantial equivalence,” or a corporation’s argument that its new crop does not need additional regulations or safety tests because it is substantially equivalent to an existing crop on the market. And even in cases where the United States has not approved or allowed a certain pesticide, there is no prohibition on exporting that unapproved pesticide overseas. Such a loophole is not limited to the United States, however. In a similar example, the Rapporteur cites Syngenta, the agriculture company based in Switzerland, which sells its Paraquat pesticide in countries overseas, even though paraquat is banned in Switzerland. “To subject individuals of other nations to toxins known to cause major health damage or fatality is a clear human rights violation,” the Rapporteur adds. The Rapporteur follows a report that the New York Times published in October of last year, which used United Nations data to show that food yields in the United States have not increased even as pesticide spraying has, challenging the popular notion that GMOs will bring people more food without as much harmful spraying. In a statement, Bayer spokesman Utz Klages points to voluntary international guidelines that are already in place regarding the spraying of pesticides. Klages otherwise does not heavily dispute the UN’s findings. “Bayer strongly agrees with the UN Special Rapporteur that the right to food must extend to every global citizen, and that all citizens have a right to food that has been produced in a way that is safe for human health and for the environment,” Klages writes to ConsumerAffairs. Syngenta referred questions to CropLife International, the trade group that represents all of the major agrochemical companies. The trade group has similar talking points. “The plant science industry agrees that the right to food must extend to every global citizen, and that all citizens have a right to food that has been produced in a way that is safe for human health and for the environment,” the group says in a statement. And what about independent, non-governmental organizations that have also promoted the idea that genetically modified crops can feed the world? The Bill and Melinda Gates Foundation insists authoritative studies have found "no sustained risk" from GM crops. "The 2016 National Academies of Sciences, Engineering and Medicine’s Genetically Engineered Crops Study brought together an expert committee to systematically review all evidence accumulated over the last two decades and is viewed as the most comprehensive overview of the potential benefits and risks of GM crops to date. That report found that there are no sustained risks to human or environmental health from GM crops," the Gates Foundation said in a statement to ConsumerAffairs.